A new report looks at what utilities can do to “bring solar within reach” for a broader swath of U.S. households, particularly in lower-income areas and communities of color. The answer: a lot. 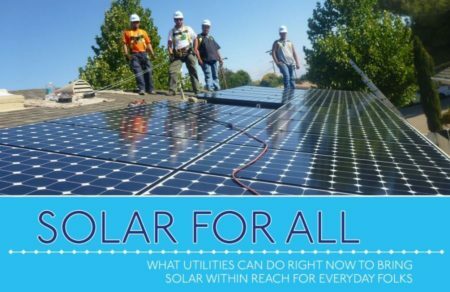 Solar for All is a product of the Southern Environmental Law Center (SELC), the Partnerships for Southern Equity, and the South Carolina Association for Community Economic Development, and is supported by more than a dozen other state and regional organizations. Click to continue reading. 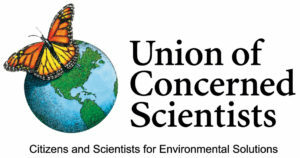 This entry was posted in Nebraska / Midwest News, NewsBlog, Solar for Lower-Income Households and tagged John Rogers - UCS senior energy analyst, Nebraskans for Solar, Union of Concerned Scientists (UCS) on June 26, 2016 by Helen Deffenbacher. Solar energy for low-income residents is becoming a staple of local news. Last week, the New York City Housing Authority announced a new sustainability campaign that includes 25 megawatts (MW) of rooftop and parking-canopy solar power by 2025. The Wall Street Journal wrote that the 2.5 million square feet of panels could power 6,600 apartments and would cover the equivalent of eight Washington Square parks . . . Piece by piece, this is what top solar advocates are hoping to see even more of very soon—whether on individual homes, public housing, or community shared projects or funded by local, state, federal, foundation, or private sources. Click here to learn about other low-income solar developments Jackson features in his blog and two reports about policies that make these possible. 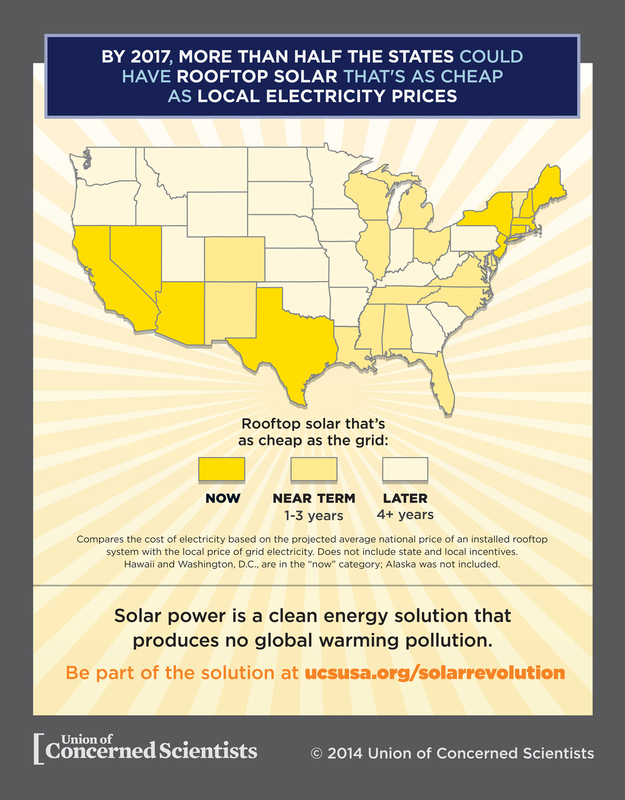 This entry was posted in NewsBlog, Solar for Lower-Income Households and tagged Nebraskans for Solar, policies that increase access to solar for all, solar for low-income households nationwide, Union of Concerned Scientists (UCS) on May 1, 2016 by Helen Deffenbacher. A new UCS analysis released today shows that strengthening Minnesota’s commitment to renewable energy and energy efficiency will drive billions in capital investments, reduce carbon emissions, and lead to significant cost savings on consumer electricity bills through 2030. Further, by setting a cap on carbon emissions and auctioning off carbon allowances, the state could generate more than $200 million in annual revenues that could be used to further reduce electricity bills or be reinvested for the benefit of Minnesotans. Read more here. 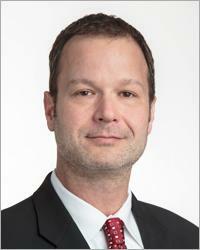 Sam Gomberg is an energy analyst and an expert on responsible energy policies that support the development of renewable energy and energy efficiency resources. This entry was posted in Nebraska / Midwest News, NewsBlog and tagged Clean Power Plan, E&E Publishing, Economic Benefits of Clean Energy Plan Implementation, Midwest Energy News, Minnesota's national leadership in renewable energy development, Union of Concerned Scientists (UCS) on February 23, 2016 by Helen Deffenbacher. This entry was posted in NewsBlog and tagged EPA's Clean Energy Incentive Program, EPA's Final Clean Power Plan, Nebraskans for Solar, states' carbon emissions reduction targets, Union of Concerned Scientists (UCS) on August 14, 2015 by Helen Deffenbacher. The Environmental Protection Agency’s plans to finalize the rules on carbon emissions from power plants are still several months away. But most states, even those challenging the agency in court, are already investigating ways to comply. The EPA expects 49 states to submit plans once the rules are finalized. 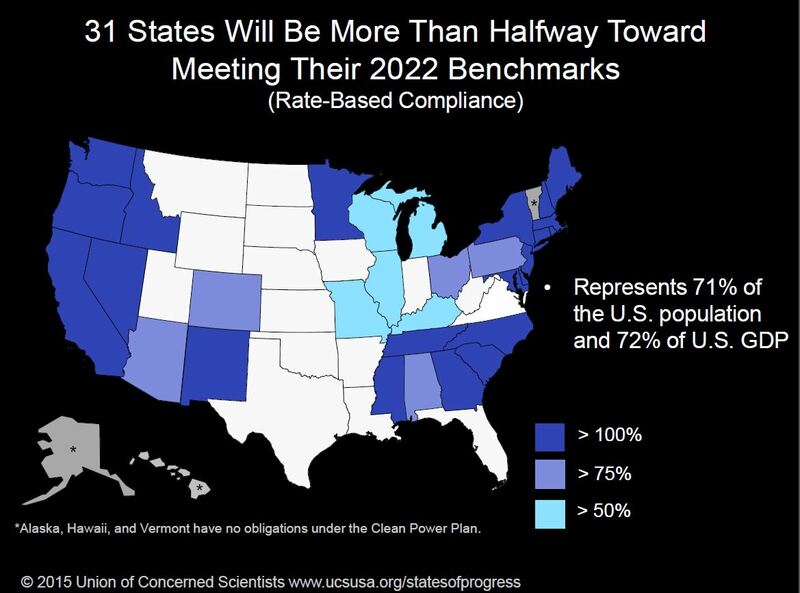 The non-partisan group Great Plains Institute for Sustainable Development, which has been organizing talks in the Midwest on the Clean Power Plan, says 41 states have joined regional groups exploring options to comply with the rule. 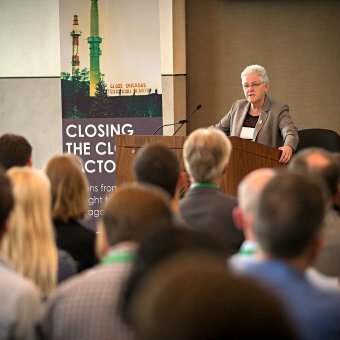 This entry was posted in NewsBlog and tagged Environmental Protection Agency (EPA), EPA’s Carbon Rule, Inside Climate News, Nebraskans for Solar, Union of Concerned Scientists (UCS) on June 4, 2015 by Helen Deffenbacher. The Costs of Rooftop Solar in Nebraska Just Keep Declining – And Lincoln is Leading the Way! The following factors are helping to bring about this transformation: The prices for rooftop photovoltaic (PV) systems have dropped precipitously over the last several years, according to the U.S. Department of Energy. The federal tax credit reduces its price by another 30%, in effect until December 31, 2016. • Southern-facing, fixed-photovoltaic panels – $375 for each kilowatt of the system’s nameplate DC capacity. For a 4-kW system (sixteen 250-watt panels), for example, the customer receives a capacity payment of $1,500. • Western-facing or single or dual-axis tracking photovoltaic solar – the unit’s nameplate DC capacity (kW) x $475, or $1,900 for a 4 kW system. Western-facing solar modules would provide customers a capacity payment of $1900, reducing the price to $7,900. Based on an average household use of 1000 kilowatt hours (KWH) per month, this 4kW system will provide about 52% of the house’s energy. Check your electricity bills to find out how many kilowatt hours your household uses each month. The price for a 2-kW PV system (eight 250-watt panels) in Lincoln, with incentives is $4150, which will provide 25% of an average household’s energy needs. For a western-facing system the cost = $3950. In Omaha, while the 30% federal tax credit lasts, a homeowner can have a 4-kW PV system installed for $9800 and a 2-kW system for $4900. * A typical cost for a photovoltaic (PV) system in Nebraska is currently $3.50 per installed watt. According to the most recent data in the September 2014 report by the Lawrence Berkeley National Laboratory, Tracking the Sun VII, the median installed price of PV installations in the United States is $4.40 per watt. Solar development in our state would very likely accelerate, benefitting our local economies, if OPPD and NPPD would provide their customer-owners the same incentives as Lincoln Electric System currently offers. The biggest incentive of all, the 30% federal tax credit, is available to everyone until the end of 2016. Even without capacity payments, when the upfront costs of solar PV systems currently being installed in Omaha and other Nebraska communities are averaged out over the 25 to 30+ year lifespan of the modules, rooftop PV looks like a cost-effective investment, especially after figuring in the 30% federal tax incentive. This entry was posted in Installation, NewsBlog and tagged costs of solar in Nebraska, Lincoln Electric System's Solar Incentives, Nebraska's Incentives for Solar, Nebraskans for Solar, U.S. Department of Energy, Union of Concerned Scientists (UCS) on September 7, 2014 by Helen Deffenbacher. How Many Homes Have Rooftop Solar? The Number Keeps Growing . . . Remember when the most likely place to glimpse solar in action was the little strip attached to a pocket calculator? Well, fortunately solar photovoltaic (PV) technologies have come a long way, and now it’s common to see PV panels on residential and commercial rooftops around the country. 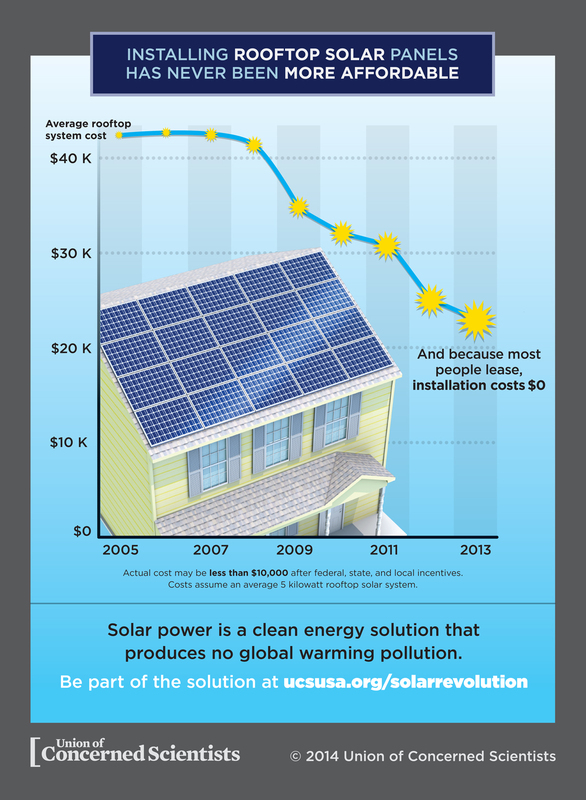 This dramatic rise in residential solar PV installations is depicted below in UCS’s new solar infographic. From 2006 to 2013, the number of homes with solar grew by more than 1,000 percent. 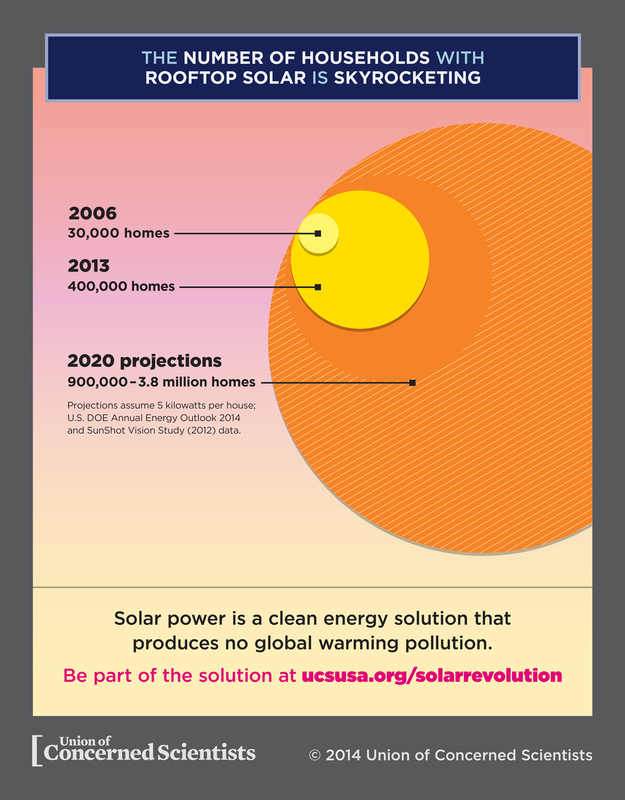 As explained by the infographic and in our new report, Solar Power on the Rise, solar installations are likely to continue increasing at an impressive rate. Projections from the U.S. Department of Energy (DOE) suggest we’re headed to almost 1 million homes by 2020 (DOE Annual Energy Outlook 2014). If solar costs significantly decline from today’s levels, DOE’s SunShot study predicts that solar installations could grow to nearly 4 million homes by 2020. This entry was posted in NewsBlog and tagged DOE SunShot Initiative, Laura Wisland, Nebraskans for Solar, Solar Power on the Rise, U.S. Department of Energy, Union of Concerned Scientists (UCS), US. solar energy development on September 5, 2014 by Helen Deffenbacher.